As we get ready to celebrate tomorrow the tenth anniversary of the launch of the Apple iPhone, it is hard to believe that as big as the iPhone was in those early days, and remains through current times, there is a device that could actually be more popular, famous and innovative than Apple's iconic smartphone. And this isn't coming from the lunatic fringe either. According to former Piper Jaffray analyst Gene Munster, Apple has a device in the wings that he thinks will be bigger than the iPhone. Munster, who now works for Venture Capital firm Loup Ventures, a firm he helped start, says that the rumored Apple Glasses, which use Augmented Reality, will eventually become bigger than the iPhone. Munster sees iPhone sales peaking in 2019 and the Glasses initial launch to take place in 2020. Munster says that the Apple Glasses will do many of the things that the iPhone does today without users having to take the iPhone out of a pocket. The analyst sees iPhone revenue growing 15% in fiscal year 2018 (which includes the introduction of iPhone 8) and will be responsible for 64% of the company's total revenue for that year. With strong sales expected for the tenth anniversary model, fiscal year 2019 iPhone sales may fall short on a year-to-year basis. That takes us to 2020 and the expected launch of Apple Glasses. From that point forward, the analyst sees iPhone sales starting to decline thanks to the new device. Between 2020 and 2022, Munster expects iPhone sales to decline 3% to 4% year-over-year. Unit sales of the iPhone will drop up to 2%. The analyst says that after the launch of Apple Glasses, the iPhone will still be around, but will no longer make up the bulk of Apple's annual revenue. While this sound intriguing, Apple has yet to confirm that it is working on such a product. Yes, there has been some buzz about such a device, but nothing official has been said by Apple's camp. In March, tech evangelist Robert Scoble said that he had been tipped about Apple's interest in such a device by an employee working for Carl Zeiss. Contradicting Munster's view of the product, Scoble said that Apple Glasses would have to pair with an iPhone in order to work. He sees the AR product hitting the market next year at the earliest, but it could be much longer before they are ready for prime time. Me: No, No they wont. Apple and microsoft, always re-inventing the wheel. Hopefully be then we would have "real" wireless charging. So you can charge it while it is on your face using either your iPhone's battery or the power outlet. Glasses will NOT work as a daily item. Even those that wear glasses don't like having to wear them. Create an Apple contact lense maybe. But Google and others already know this is not going to happen. God when will the love fest for Apple die already. Depends on how much they cost. Google Glass was an expensive disgrace. Curious as to what other tech company's are working on AR. Thats the thing, despite microsofts version being more sophisticated, apple is likely going to hit a home run because apple knows how to keep it simple and bring new technology to the market which would be relatable to the average consumer. Thats where the magic is. regardless of how good Apple is at keeping it simple (casually waits for others to do it) the smart eye ware section is extremely hard to enter watches are way easier due to them being so low profile. try to get a person who doesn't already wear glasses to wear smart ones. I don't think Apple just waits for others to do it. They just don't talk about what they are working on until it's getting close to release. What most non Apple manufacturers are doing now is simply trying to beat Apple to market with product, but mostly failing because they are launching a rushed product that gives people a half baked product. Apple takes its time and releases a much more mature product that's better suited for prime time. It may not always be perfect, but it's a lot closer. Apple does wait for others. They look what sticks and what flops and then apply it to their own products. This is, of course, a smart business strategy but it's not like they can make a product good all on their own. They need the competition to make the good and the bad and apply it to their own products. Besides Apple doesn't always make a mature that is close to perfection. Will these also be banned like Google glass? Speculative. 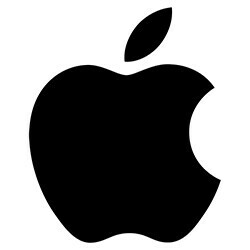 Will it have an apple logo on it...really depends on where that logo is...will it be easy for everyone to see it? Suddenly I am remembering back to the Eye Phone episode from Futurama. Walking down the street, then suddenly ads start popping up blocking your view. I know, it's a dumb cartoon. I am curious to see whatever becomes of this. It just seems nowadays that we, as consumers, get a lot of promises about the next big thing, but it never comes to market, Project Ara from Google as a key example. Yup, he is an Apple troll who is mostly always wrong. It won't work for one simple reason and that is it won't be subsidized by cell phone carriers, meaning people will have to buy it outright which is a tough sell when it losses the appearance of being free. Vivo or some company from China will release 'Glass' before Apple.